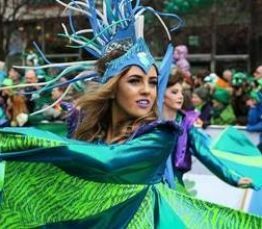 Soak up the atmosphere in Dublin this St. Patrick's with this amazing offer! Receive 20% off best available bed & breakfast rates and enjoy a complimentary Irish Coffee in the Bar & Lounge where there will be live music from 9pm - 11.30pm each evening. Full prepayment taken at the time of booking. In the event of a no-show or cancellation, the deposits paid are forfeited in full.